Below you have the contact details of this SWIMMING CLUB. These organizations may have their own pool or be associated with a pool whose name and title have nothing to do with the Club. Note that important information when you contact them and remember to ask at what pool do their workouts. Write down the GPS coordinates we've on our file for this Aquatic Center, so you can enter them into your GPS to assist you locate the Pool easily. Av. Ramon Condominas s/n , Puigcerda , Spain (Postal Code: 17520). This sports center delivers 25 meters x 12, 5 meters, 6 lanes, Indoors. 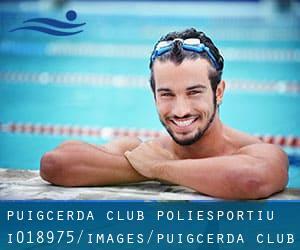 Contact info for this Swimming Pool such as phone number and email address are number.